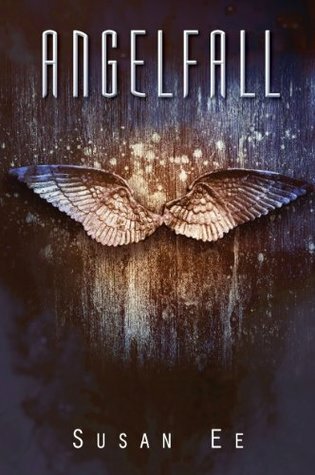 I can say without a doubt that Angelfall is my biggest surprise read of the year. I truly didn’t expect to like this book. The synopsis made me think it was going to be the same post-apocalyptic angel story that I’ve read before. Color me surprised when Angelfall drew me in from the first page and never let me go! Angelfall is set in post-apocalyptic world where Angels have come to earth and are the new ruling class. Penryn lives with her not-all-there mother and her wheelchair bound sister. When Penryn’s sister is kidnapped she reluctantly partners with Raffe, an enemy angel, to get her back. I really enjoyed Penryn’s strength and her willingness to do anything for her sister. She was a heroine you couldn’t help rooting for. The odds were always stacked against her but she never let that get her down. The adversities she faced with Raffe, and her crazy mother, only made her more determined to get her sister back. Initially I assumed Raffe was going to be the standard “hot” love interest. He was a fallen angel that was going to make Penryn swoon. While Raffe was a little of that he was also so much more! Raffe had a complicated back story and his willingness to help Penryn made him all the more likable. I truly can’t wait to see what happens to him in the next novel, World After. Overall, Angelfall is my biggest surprise of the year. The novel is so unpresuming on the outside but the inside it is an action packed story that will keep you up late flipping pages! I’m already eager to start World After. I'm so glad to see that you like this one! I've heard such great things about it but I haven't checked it out yet.